– “Freedom and Unity” is the official motto of the state, adopted in 1788. – Maple leaf and maple syrup – since Vermont is the biggest producer of maple syrup in States, making almost half of all US maple syrup. 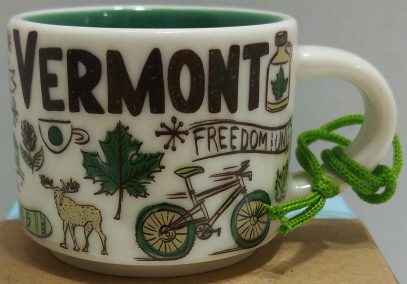 – Mountain bike – Vermont is well known for thousands of trails over mountain terrains and around Lake Champlain. – Moose – you can pretty much put an equals sign between Vermont and Moose.